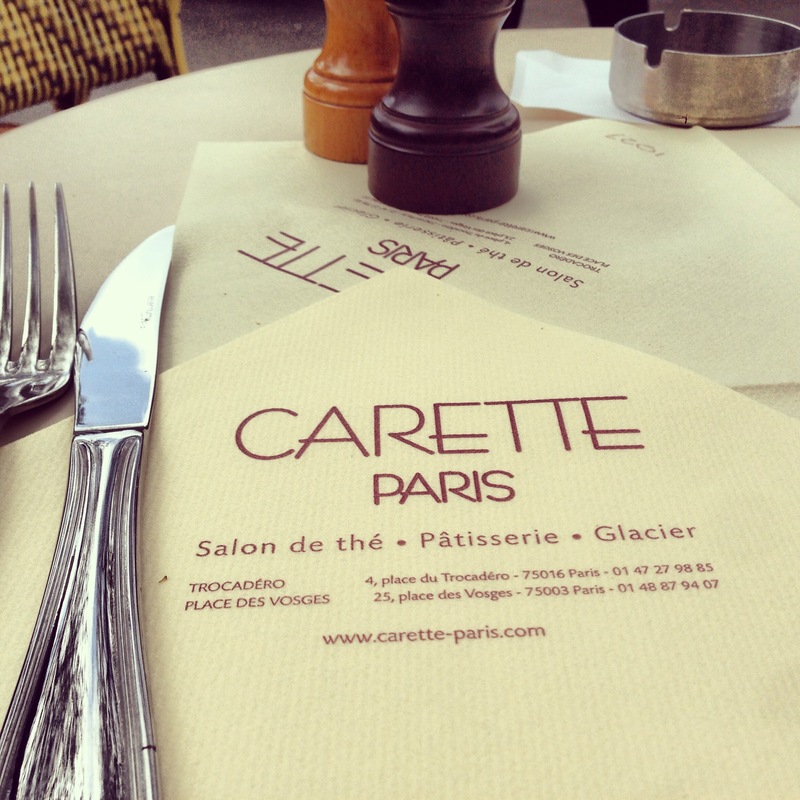 Carette | the (fake) parisienne. A couple of weekends ago I experienced the perfect Saturday morning. You know those lazy mornings when you know there is no screeching alarm to wake you up or disturb you from a wonderful dream. You open the curtain carefully, with caution, and low and behold…sunshine! Just to be extra careful you check the weather app on your iPhone…20C temps! Then you can sigh… *sighhhh*… because you know in that moment that your weekend just got off to a great, no, an excellent start! This is my favorite type of weekend! 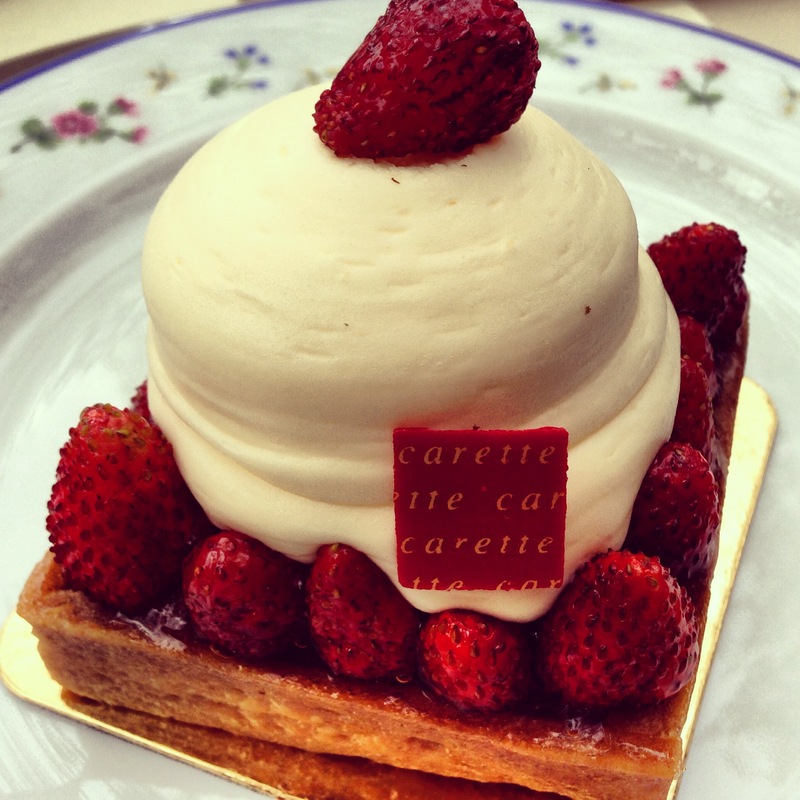 I had been meaning to try the renowned salon de thé, Carette, for a while now and I genuinely enjoyed it. 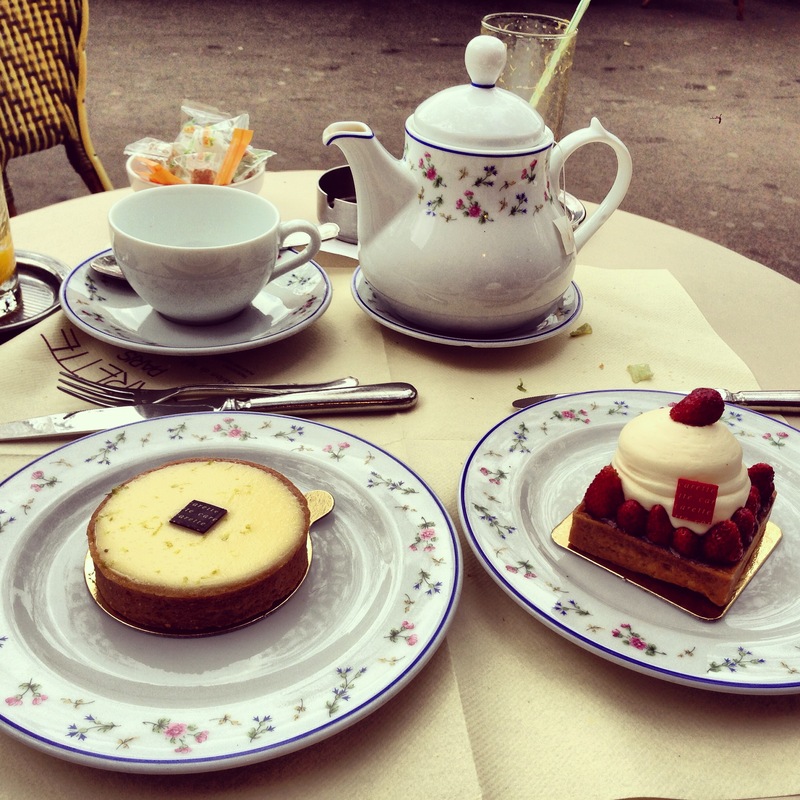 They have two branches in Paris in two superb locations – Place des Vosges and Place du Trocadéro. 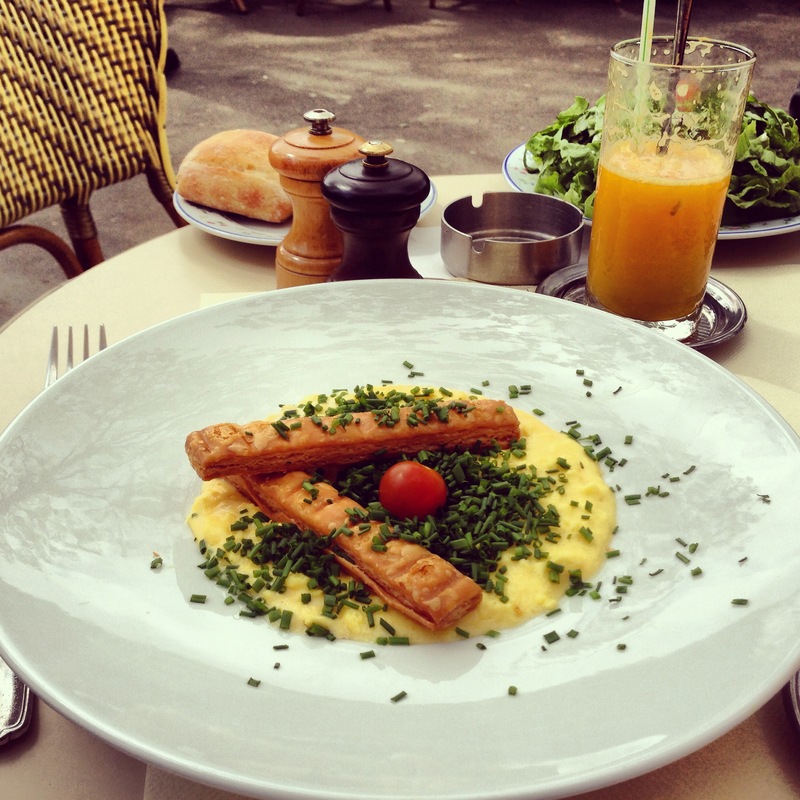 We visited the Trocadero branch and sat outside like true Parisiens, watching the people and traffic go by, with a view of the iconic Tour Eiffel ahead of us as if etched in the beautiful blue sky. 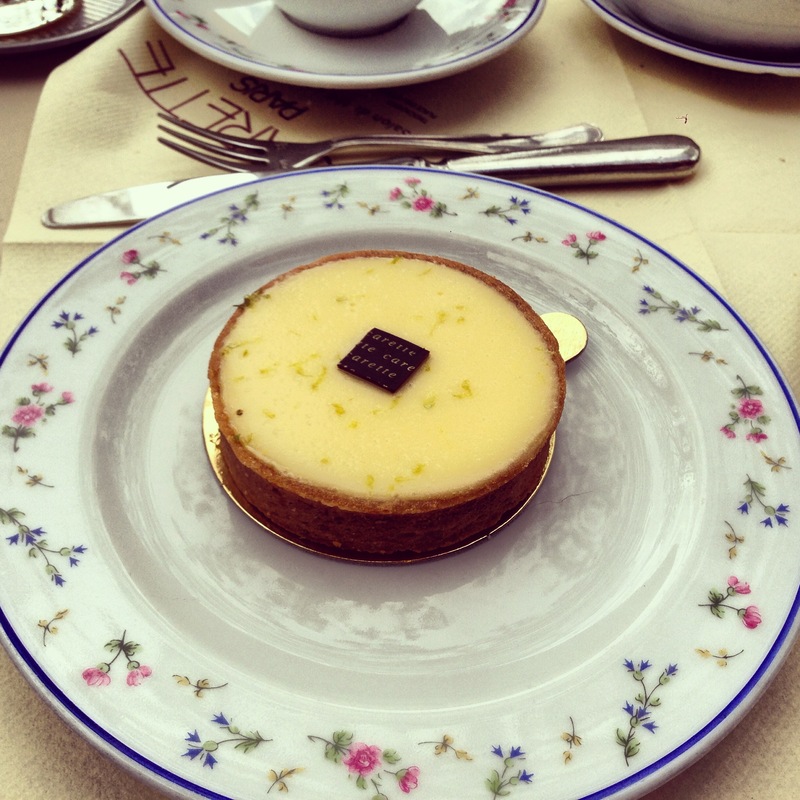 I had the eggs followed by the tarte au citron. 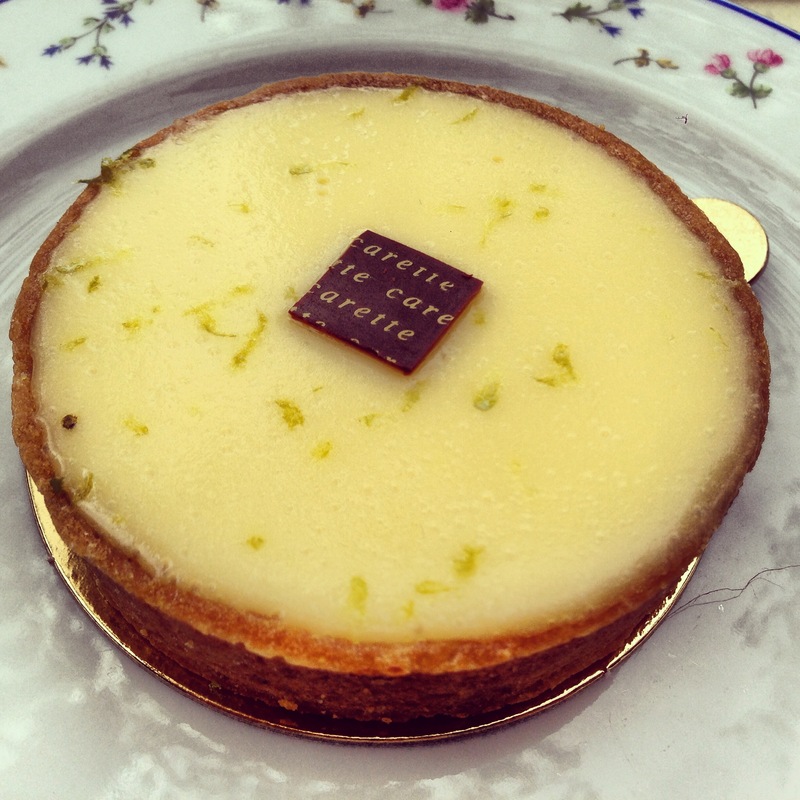 Delicious but I still insist that the best tarte au citron in Paris is at Pierre Hermé. 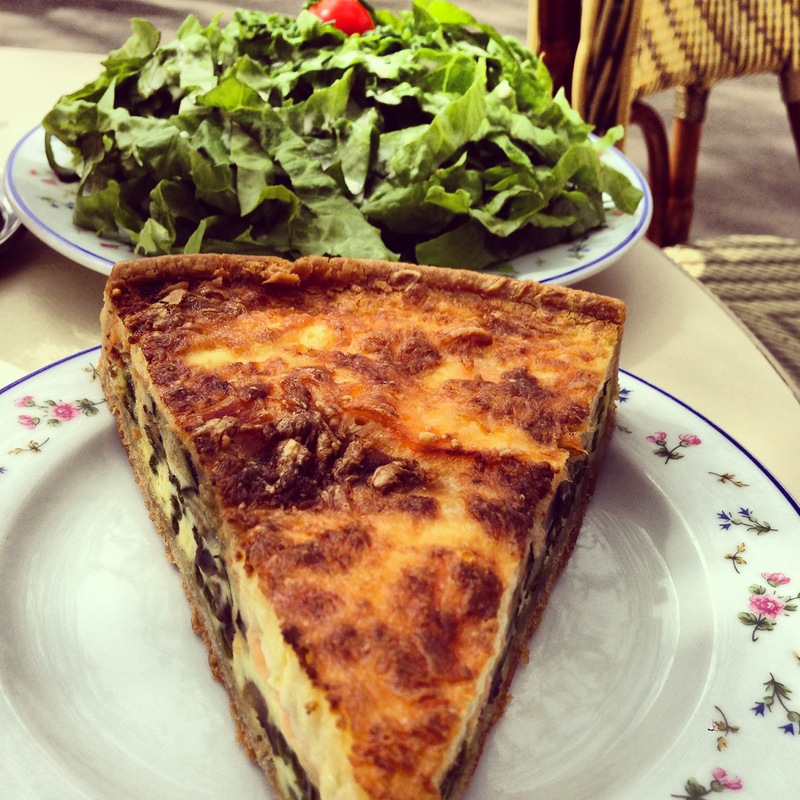 N had a quiche that he enjoyed followed by a wild strawberry tarte. 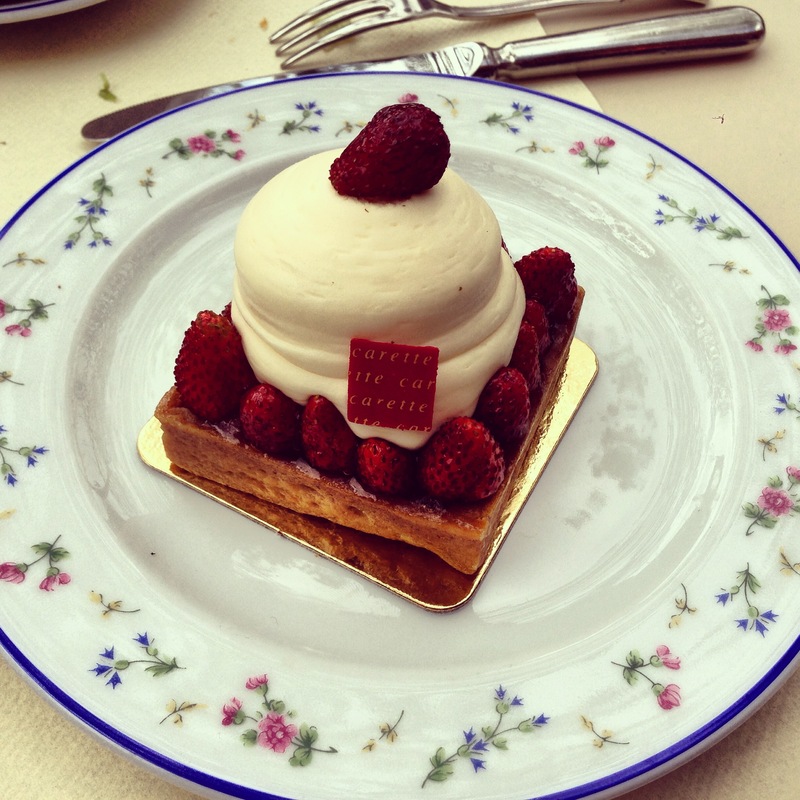 The season for wild strawberries is very short so you have to take advantage of this delicious tart delicacy while it’s in season. This is a lovely way to enjoy a weekend. I believe their Place de Vosges branch is even more beautiful. Just look at that! This one is next on my list and judging from all the excellent reviews I have been hearing about their macarons lately, I must give this macarons-underdog a try. More on that hopefully very soon. 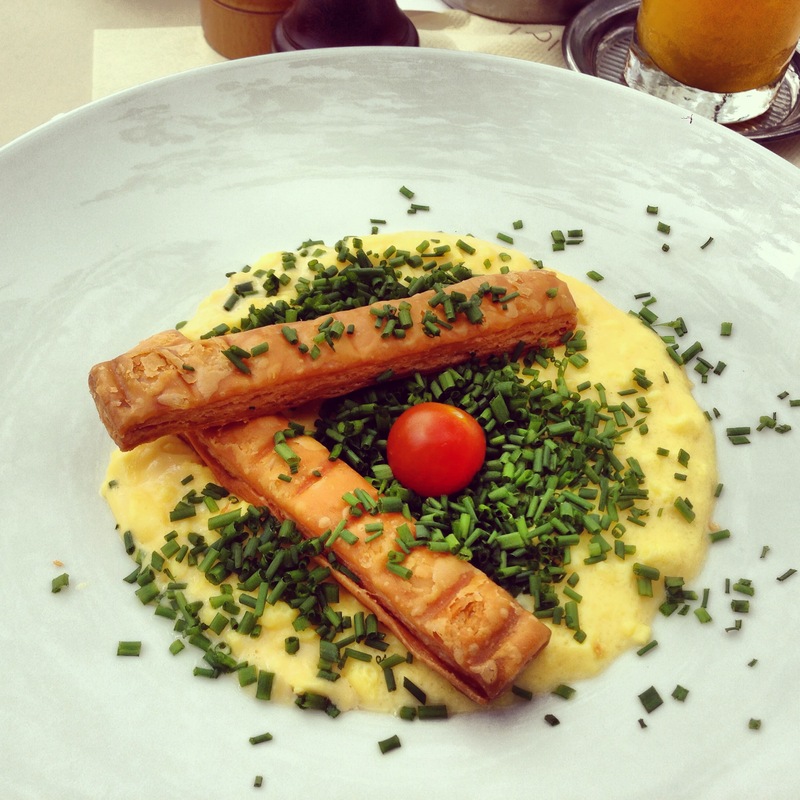 If you like what you've seen, please click here to follow my adventures through Paris and beyond!